What am I doing? I feel like I am spiraling further and further from the very reason we chose to home school. I’m letting myself get tricked into believing I am not enough. I’m thinking about last year and how the girls and I had so much fun together. Every moment was smiles and hands on learning. We cuddled on the couch for grammar practice, laid out on the floors for math and hiked around the country side for science. Every meal was cooked together as a family and everyday we played basketball in the driveway for “P.E”. Life was beautiful. I remember staying up until 2 or 3 am sometimes tossing my ideas for curriculum together for the next week. However it was worth it. Every second of it. Diary I have a confession to make. Somewhere I lost sight of what my family first ventured to do. Somewhere I led myself to believe I was not doing enough for my kids. Somewhere I convinced myself my kids needed more than what I could give them. This year we are no longer gathered in the living room for grammar, instead we sit at desks in computer chairs reading computer screens. We are no longer marching about the countryside letting our planet provide our science lessons, we are filling out worksheets. Here I sit at my desk overlooking my children at their desks, we are all typing away on our computers, standing up occasionally to print a document then returning back to our chairs. The sound of four computer keyboards makes me feel as though we are in some sort of call center. It’s been half a year since “I” taught my children, a half a year since I snuggled on the couch and they narrated their answers to me, a half a year since we played basketball in the driveway. Maybe it’s the constant pounding sound of these keyboards that is making me miss our old style. Maybe life is presenting me with an opportunity to be reminded of the type of education we once loved dearly. If I’m being completely honest though I haven’t been listening to the signs. That insecure part of me has taken control. That part of me that doubts myself. I’m sitting here watching my kids type in silence with their headphones on, having no idea what I am thinking. Even though I am only 4 feet from them I feel like we are miles apart. How could I let this happen diary? I have abandoned so much to keep up with the world. What was I thinking!? Why should I care what others think? Why should I feel I’m under a spotlight. I realize now something must be done. This isn’t right for us, I can feel it in my gut. My mind has been exploding with the idea of getting back to the roots of why we home school. I let the kids know I wanted to go back to the way things were and they were overjoyed! Let me share a passage from my diary from yesterday. Diary, the last couple of days have been beautiful! We snuggle on the couch for grammar, followed by story writing at the coffee table..then we travel all the way to the dining room table for math. We are together again, completely happy again Diary. I feel like an amazing mother. My children really want to be with me. Truly with me. There is no better feeling than when all six of those beautiful eyes are focused on me during lessons. I am beyond blessed to have found ourselves again. We are happy again. Just today my kids woke me up before my alarm. Our literature books had already been set out in the living room, ready for us to read. My oldest Jelly was eagerly waiting to read to her sisters! We truly are at peace with ourselves again. 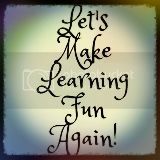 We are learning because we want to. A finished curriculum may be fantastic for lots of families, every family is different. It’s great to try new curriculum styles because you want to but it’s important to never try them because you feel you have to….like in our case. Wow oh wow, I certainly needed this today. Yikes! Its hard to find balance. The important thing I am learning is that its o.k. to do things different. We do not need to be like others. We have to be ourselves and we need to encourage our children to be who they are. Hang in there Momma and know that you are brave for doing what you believe is the right thing to do. Thank you Lisa for your kind words! I’m so very glad you found this helpful. Truth be told I almost didn’t publish this for fear of what others would think…can you believe that! Silly me. Your words mean a lot! I’m very very glad I did publish now! I’m sure we will too! We are already back on our way to what makes us happiest! Thanks Astrid! Enjoy every moment. Our children are grown, and I didn’t even know about homeschooling when they were young. I would have loved having that extra time with them. You’re blessing your whole family with this approach to learning. Many blessings! Thanks for linking this at CMB.